As your business grows and becomes more complex, managing your drivers and vehicles also becomes more complex. Business owners and managers have to spread themselves thin in order to handle everything necessary to run a successful business. 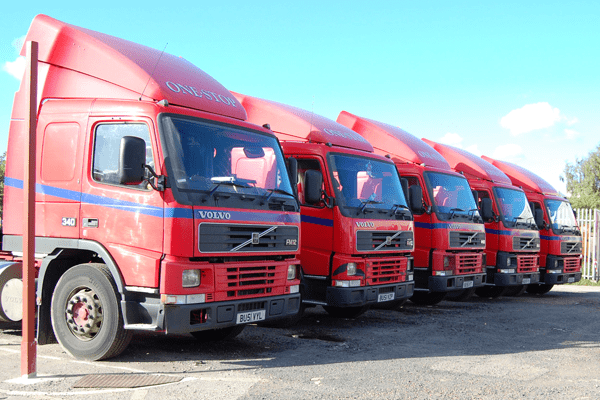 Using a fleet management system, there are five ways to effortlessly manage your fleet of vehicles and drivers so you can focus on your core business. Your fleet management software can provide automatic reports regarding fuel usage, drivers’ behaviors, safety, after hour vehicle usage, driver time cards, etc. You can set up your software to automatically deliver fleet reports daily, weekly, monthly, or quarterly. The reports can be displayed on the dashboard or sent to your email. When you use a fleet management solution, you do not have to constantly check-in with you drivers to make sure that they are doing what they are supposed to be doing. You can use automatic alerts to notify you if your drivers are idling excessively, driving aggressively, driving out of the authorized zone, speeding, etc. The automatic alert is send to your email or dashboard in real-time so you can contact the driver to have the behavior corrected immediately. Audible driver coaching alerts drivers with a set of beeps if they drive aggressively, stop harsh, accelerate rapidly, speed or idle excessively. This beep makes the driver aware that they were doing something wrong so they can correct the way they are driving. Often times, drivers get distracted and do not realize they were driving in an unsafe or inefficient manner. The audible driver coaching improves fuel efficiency and increases driver safety. Integrating a fuel card system with your fleet management system can reduce fuel costs, identify vehicles or drivers that are using more fuel than normal and detect fraud. GPS data is compared with actual fuel consumption and fill ups right from the fleet management software. GPS fleet management systems provide all of the vehicle’s locations any time of the day. You can easily view all of your vehicles locations on a map or create reports with the vehicles’ historic locations. If a vehicle is lost or stolen, you will be able to quickly locate the vehicle and get it back on the road to service your customers.